Are we witnessing climate change? 2015 started with the earliest bud break in our history, saw very hot (42 °C +) summer days (record high June temperatures) which lead to one of the earliest harvests on record: August 18th! After the initial scare of forest fires and small chance of smoke taint passed, harvest took place under ideal conditions. The fruit was homogeneously ripe with little to no need for sorting (except Sangiovese needed sorting). With a cool September (due to temperature inversion in lieu of forest fires) our reds, overall, are higher in acidity than 2014. 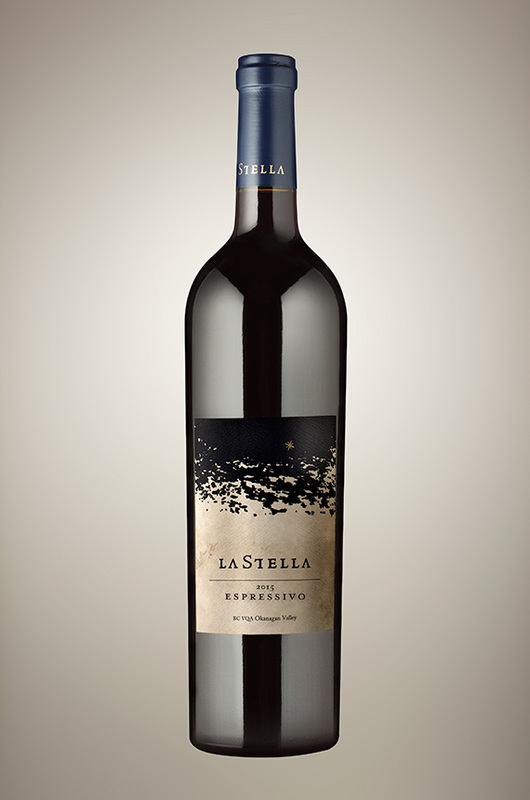 2015 marks the second release of Espressivo – the newest member of the LaStella Family. A Tuscan-inspired red blend much like its sibling Fortissimo, except Espressivo, is Cabernet (Sauvignon and Franc) dominant while Fortissimo is Merlot dominant. Espressivo is our way of paying respect to the pioneers of Tuscany who challenged the traditions of winemaking in the 50s and 60s to gain recognition for their wines. 2015 Espressivo is as outstanding as we thought it would be during its upbringing in the barrel; all the components are married seamlessly together. The large format puncheons and Hungarian/Slavonian oak are evident in the subtle way the oak is present. The fruit profile is dark bramble fruit, married with earthy, rosemary/sage and spicy notes. The tannins are plush yet have an edge to them. The finish is long and savoury. We look forward to following the evolution of this wine in the bottle for many years to come. Bitter green (like Lacinato kale) gnudi with lamb ragu. In a nod to the Super-Tuscan blends now rampant in Italy this combines 55% cabernet franc, 20% cabernet sauvignon, 20% merlot and 5% sangiovese – all aged in French and Slavonian oak. There is considerable oak vanillin, resin and spice on the nose with fresh herbs (dill, sage) and raspberry-like cab franc fruit. It is full bodied with firm acidity, some alcohol heat (14.8%) and fine, grassy tannin. The fruit gets a bit overripe on the palate with dried fig character. Tannins are still quite grippy. The length is excellent. Cellar it until 2020. 55% Ca[b] Franc, 20% Cab Sauv, 20% Merlot, 5% Sangiovese. French and Slavonian oak. Ripe, warm, cedary, spicy and with hints of tea and herbs. Lovely sweet berry and cherry fruit. Has a bit of earth and spice with a sweet lift to the fruit.